Imagine being able to see into the future. 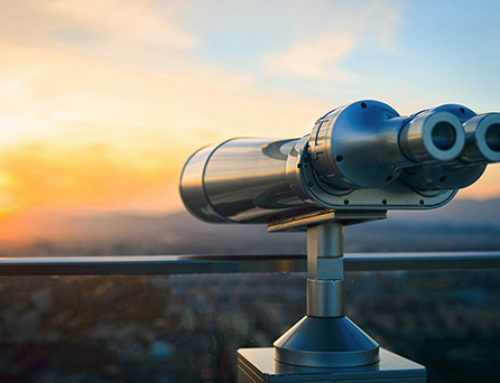 If you could know with certainty how the economy would perform and how your company’s products would fare in domestic and international markets, your business plans might take an entirely new direction. 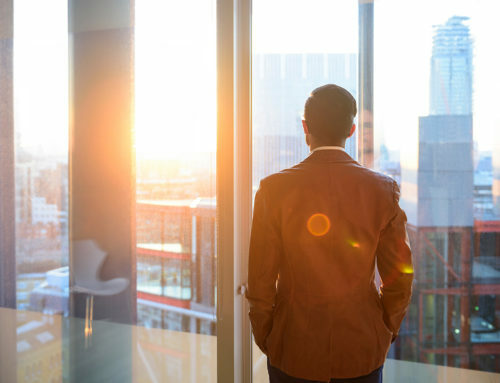 While precognition is reserved for science fiction, successful business leaders today can rely on economic data and predictive analytics to determine how and when to launch new products, develop alternative business ventures, and enter new global markets. 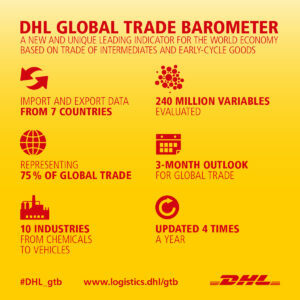 DHL has introduced a new early indicator that monitors the current state and future development of global trade: the Global Trade Barometer. 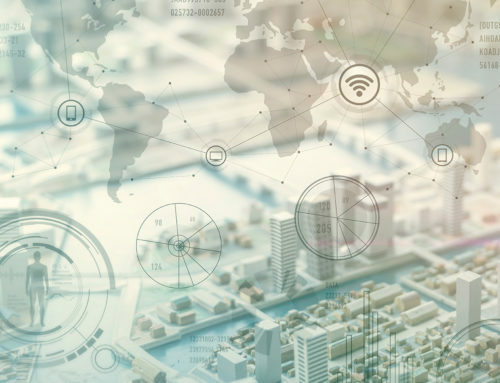 Created in cooperation with Accenture, a management consulting company, the Global Trade Barometer will be released quarterly and promises to be an essential tool in the growing arsenal of analytics available to help plan for tomorrow. We know that U.S businesses looking to grow can find vast new audiences in global markets – after all, 95 percent of the world’s consumers live outside the United States. We know that e-commerce and advances in logistics have made international trade easier and more rewarding for even the smallest companies. We also know that U.S. exports are on the rise, and that cross-border trade relationships with eastern and central Europe, the Asia Pacific region and certain emerging markets offer particularly good potential for expansion. But to develop a strategy for entering an international market or expanding globally, businesses need to understand how stable the trade outlook really is. That’s where the Global Trade Barometer comes in. The January 2018 index predicts positive overall trade growth in the U.S. for the next quarter, reinforcing the fact that the U.S. is one of the most stable countries among those analyzed. While air trade growth is trending downward, it is still expected to remain positive; at the same time, trade through ocean freight is expected to get a boost. Data. 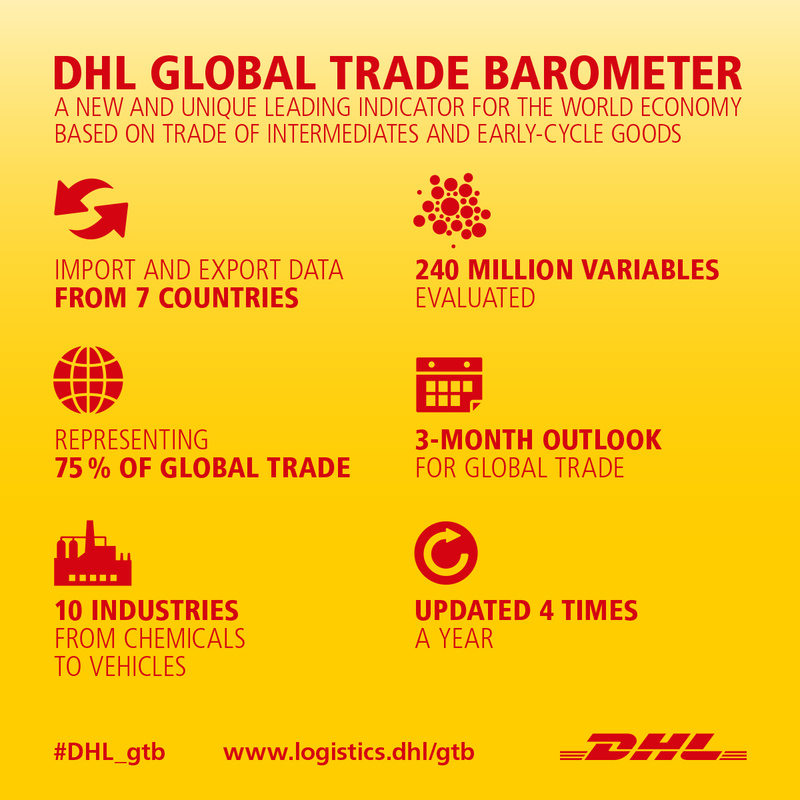 The barometer uses import and export data for intermediate and early-cycle commodities, which serve as the basis for further industrial production. Think brand labels for clothes, bumpers for cars, or touchscreens for mobile devices. Countries. The aggregated market data from air and containerized ocean freight comes from seven countries, which together account for 75 percent of world trade. 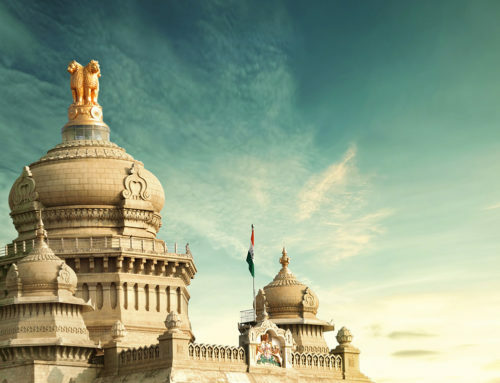 The index countries are the United States, Germany, India, Japan, China, Great Britain and South Korea. Analysis. 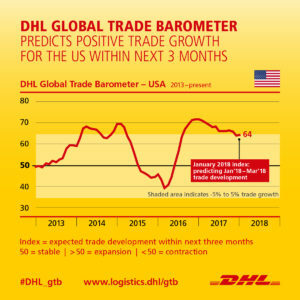 The Global Trade Barometer consists of the weighted average of the current growth and upcoming two months of global trade among subject countries. Accenture provides data modeling and predictive analytics, using artificial intelligence programs and various statistical methods. A single index value is assigned both globally and for the seven countries that are evaluated. 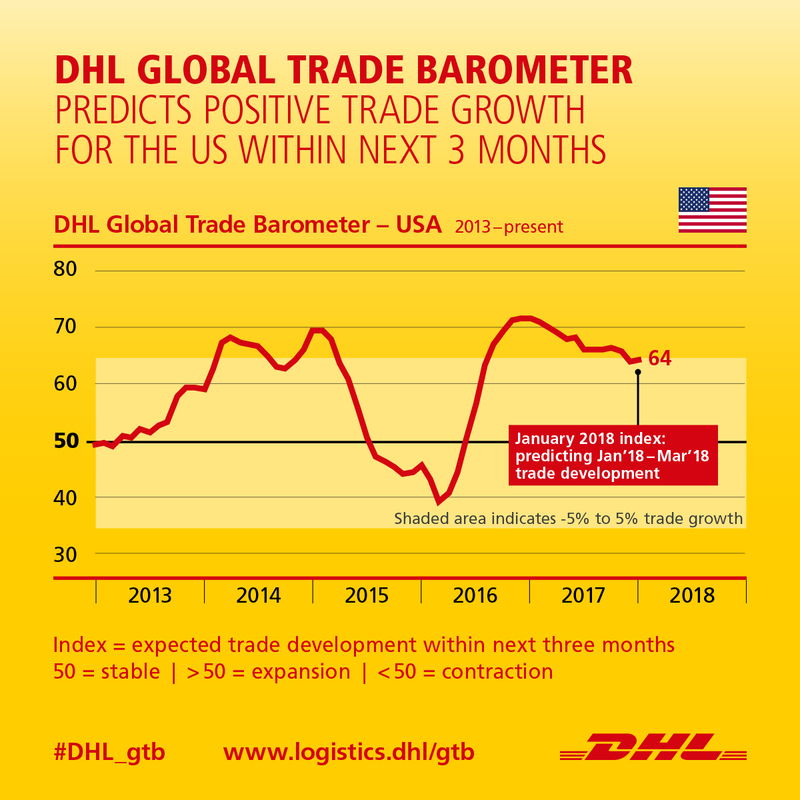 An index above 50 indicates positive trade development; the January index for the U.S. is 64. Benefit. The barometer can help your business by offering insight into future trade development, allowing you to make decisions on investments, spending and supply chain management. 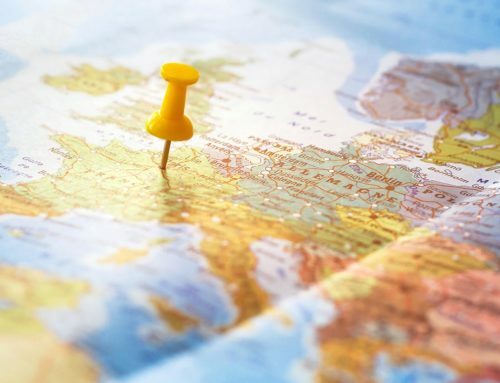 Are you considering sourcing materials from specific regions of the world, or launching your products in new overseas markets? By offering additional data, including an analysis of the macroeconomic factors that are affecting trade, this predictive tool can inform your specific trade strategies. 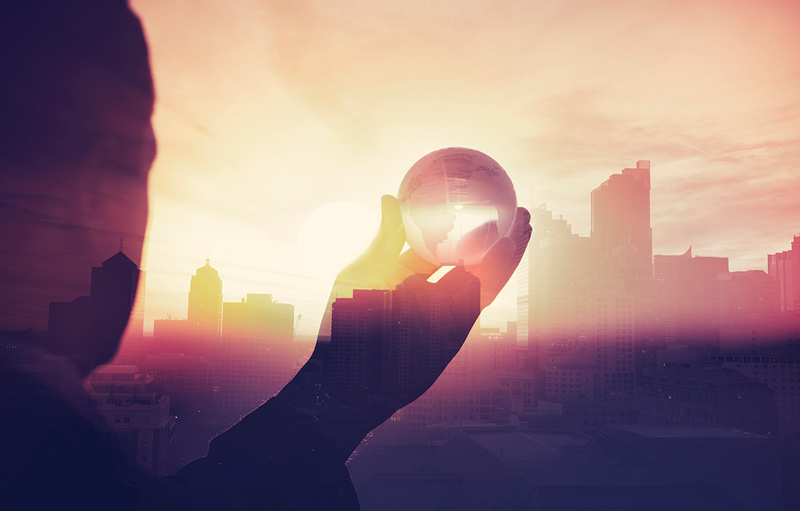 How does your company plan for the future, and does that future involve global trade? Let us know on Twitter @DHLUS. GET EXPERT INSIGHTS DELIVERED TO YOUR INBOX AND HELP YOUR BUSINESS GO GLOBAL. SUBSCRIBE TO THE BLOG.